We recently got an email from a Tequila Matchmaker app user saying that our search filters didn’t help him, since he wanted to search for “sweet, smooth” tequilas, “good for beginners.” He had a point. Production details, and even flavor descriptions, probably aren’t helpful for people looking for tequilas that are “smooth”, or easy to drink. * But the problem with classifying tequilas this way is that these descriptors are highly subjective. Despite the dictionary definitions above (and there are 4 more, including “serene” and “free from hair”), “smooth” can mean a range of things to different people. All of these descriptors are valid, and give you more information than “smooth,” in my opinion. In fact, even when describing texture or mouthfeel, I prefer “silky” or “velvety” because smooth has been co-opted for so many other uses. But people who are just starting on their tequila journey may not yet have the vocabulary to get specific (which we certainly didn’t at first!). “All I know is that when the spirit is tequila, the descriptor ‘smooth’ gets a ton of hate from aficionados,” says panel member Remy Newland. She’s right, of course, but it shouldn’t be that way. After all, smooth does literally mean “not harsh or sharp”, which is a valid description. My issue with the word is not really that it implies a lack of knowledge; simply that it is not a clear descriptor, except that it is generally seen as a positive attribute. “I feel like ‘smooth’ is a catch all descriptor for a lot of people who struggle to find more concise language,” says Adam Stemmler, Tequila Matchmaker panel member, bar owner, and industry consultant. “Smooth is most often used to describe a lack of distinctive flavor or ethanol-induced heat. I think it is better suited to describe spirits with greater viscosity,” he adds. I agree that there’s a lot to be said for reserving “smooth” as a mouthfeel descriptor alone. But there is another issue our panel pointed out when tackling the “smooth” issue—that smoothness often correlates with sweetness. Just as the app user I mentioned was seeking “sweet, smooth” tequilas, many beginning tequila drinkers prefer a sweeter product, but don’t ask for it directly. “When a customer asks me for something ‘smooth’ I think they don’t really know what they want,” says Guadalajara-based bartender Andres Moran, who specializes in agave spirits. “They are trying to play it safe, and it’s my job to find out what they are really looking for,” Moran adds. Of course, when it comes to the ire that some aficionados have with the term “smooth” it’s not really about its lack of clarity. There is a deeper issue here about the true character of tequila and whether this attribute should be something it aspires to at all. 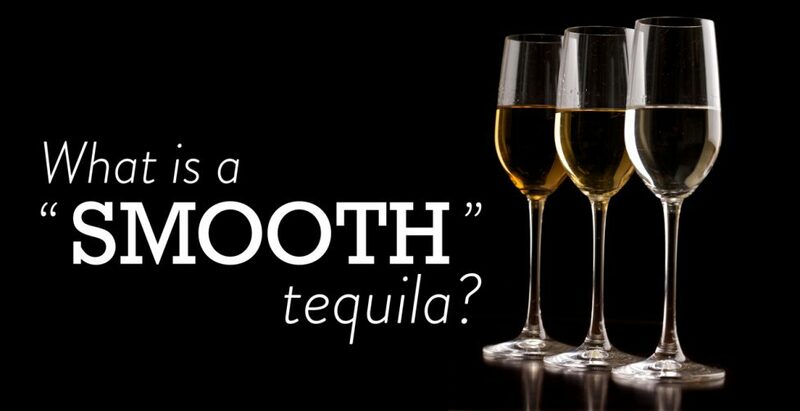 Should we really expect a tequila to be “smooth” if it may imply lack of flavor, lack of finish, or overall simplicity? And, more importantly, are we honoring the history and makers of this great spirit, which takes years of manual labor to produce through the growing of the agave plant to bottling, if we all we want is a soft, easy-to-drink spirit? To some aficionados, describing a tequila as smooth “is considered to be demeaning to the character of this spirit,” panel member Newland says. Until relatively recently, tequila was higher proof, un-aged, and dominated by rustic flavors, due to how it was made. It wasn’t until the ‘90s that tequila became really popular, and palates tended toward lower-proof and aged tequilas. “The term ‘smooth’, or ‘suave’ in Spanish, doesn’t really fit into the terminology of tequila, since this drink has always been distinguished by its strength and character,” says Francisco Hajnal Alfaro, President and Founder of the Academia Mexicana de Catadores de Tequila, and former Director of Special Projects for Casa Cuervo. Tequila started to change in the ‘80s and ‘90s, he says, as production processes were improved following the models of vodka, cognac and whiskey, to clean up some of the sensorial defects. At the same time, the market moved away from mixto tequilas to embrace more 100% agave products. Before this, tequila—especially blanco tequilas—were considered very strong because the heads and tails weren’t appropriately diminished in the distillation process, he added. That is probably why reposados and añejos started to gain traction in the ‘70s, because they covered these defects with barrel notes. Given tequila’s relatively recent evolution as a global product with a milder character, some hardcores have turned to mezcal for more robust flavor profiles and higher proofs. So, is it just a matter of time before people start demanding “smooth mezcals”? The mezcal specialists we talked to said no, that the essence of mezcal is its distinctive flavor. That said, we have seen some mezcal products looking for a wider audience, including Zignum Mezcal, a brand that uses a diffuser in their production process, producing a more tequila-like product. And, there have even been some mezcal cristalinos and a mezcal crema landing on the scene. We easily found a thread on Reddit talking about “the smoothest mezcal.” As this exchange shows, when it comes to the word “smooth,” mezcal aficionados have similar reactions to tequila aficionados. For now, mezcal appears safe from the demands for “smoothness”, but time will tell. Tequila was once considered one of the most distinctive spirits. Perhaps those fighting against the broadstroke label of “smooth” are trying to keep it that way. *By the way, browsing the community top-rated tab in the app probably gives you a good idea of what most people consider to be smooth, or easy to drink. Nice article Scarlet. I usually use a mouth feel work like viscosity when trying to describe “smooth”. I do prefer agave spirits with character. The article packs a lot of information in a very approachable style. Keep ‘em coming! I actually prefer the term “Balanced” when describing the tequila I like. Meaning nice agave taste not ivee powered by the burn or any barrel Influence that may come with aging. Yes, that’s a useful word! Ouch, hopefully the pressure would be on Tequila to not be produced using a diffuser, but more traditional processes instead. Well said Scarlet. Mark Cherney makes a good point in saying a good Tequila is “balanced” which to me indicates that one characteristic does not overwhelm that others to their detriment.